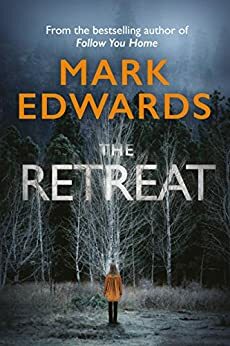 Mark Edwards is the British author of several standalone novels, including the latest psychological thriller, The Retreat, and the Kate Maddox and Detective Patrick Lennon series, both of which are co-authored with Louise Voss. Mark Edwards (website) was raised on the south coast of England and started writing books while working menial jobs in his twenties. At some point, he moved to Tokyo in Japan where he lived for one year, and after he returned back to England, he started working in marketing. 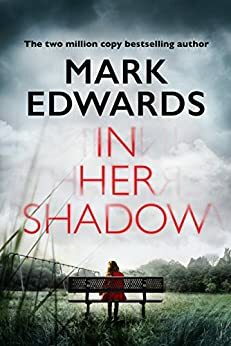 The author started his writing career in early 2000, after being contacted by Louise Voss, following a BBC documentary that was aired in 1999 about new writers, where Mark Edwards was also featured. This led to a long friendly and working relationship between the two authors, who have co-authored several novels over the year. Killing Cupid was their first book written together. While they have both written books together and alone, Mark was not published for several years yet, which led to his giving up on writing for a while, being burned out by all the publishing house rejections he received. He focused instead on his marketing job which paid the bills because the books did sadly not. In 2010 when self-publishing became big online, Mark decided to give it a go. Afterall if other authors became successful through self-publishing, so could he. Thus in 2011 the first collaboration between Mark and Louise, Killing Cupid, went up on Amazon. And something strange happened. Soon it became a top seller on Amazon, hitting #2 in the genre within a few short weeks. Their second collaboration, Catch Your Death became in fact #1. In the meantime, Mark began writing solo books as well, with The Magpie being his solo debut novel in 2013. It also became a top seller on Amazon. Currently, Mark Edwards is a full-time writer and stay-at-home dad, living with his wife, three children, and a cat. While I enjoy his two series, I have to admit that in the case of this particular author I prefer his standalone novels more than his series. Here are the Mark Edwards books in order for his solo and collaborative thrillers.